If you are one of those men who prefer to slick back your hair styling it into side wings, and slicked back top, or that duck tail, then you need a product that is the best product for slicked back hair. 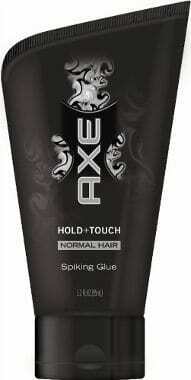 This product should hold that slicked back hair stay in place, without causing it to shine or harden into a helmet. While there is no product that works with every texture of hair nor will hold every style perfectly. Here are some products that seem to do a good job for a large majority of people who have tried them. 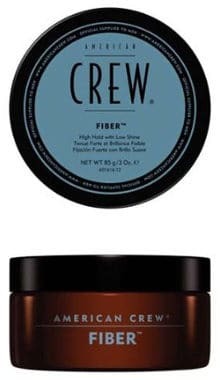 The American Crew fiber pliable molding cream hair styling gel is perfect for those men with thinner hair who want their hair to look fuller and thicker while creating that slicked back look. Coconut extract, Lanolin and castor beans. Remains Pliable: Users like the fact that this gel leaves their hair looking and feeling more natural. It simply doesn’t create that hard shell that makes hair untouchable. Thicker Looking Hair: Men with thin or thinning hair love the fact that this gel leaves their hair looking thicker. Holds Reasonably Well: While most users admit that this gel doesn’t hold as firmly as those pomade or waxes do, they still feel it holds reasonably well, which is perfect for many styles. Several users did suggest that you experiment putting this gel in when your hair is different wetness levels until you find the hold and the exact look you need. It seems that some styles hold better when the gel is put in completely dry hair where other styles hold better when the product is put in damper hair. 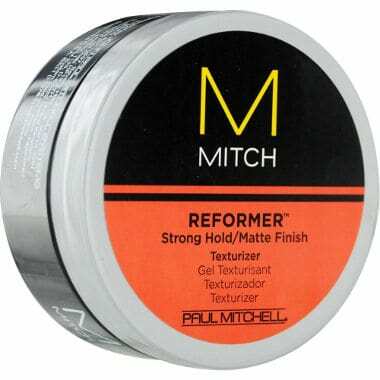 Reviews for the Paul Mitchell Mitch Reformer Strong Hold/Matte Finish Texturizer for Men are quite positive with only a few users complaining that the hold is not strong enough for the style they are trying to achieve. Overall, the vast majority of users find the hold works for them and enjoy the following benefits as well. Good Size Container: While 3 ounces of this hair product may seem to be a small amount, most users are pleased with the amount of this texturizer. They state that a little goes a long way and they can use the entire container before it starts to dry up. They also find it the perfect size for traveling. Goes on Easily: They also like the fact that this product goes on smooth and easily and is easy to work into your hair. No Shine or Stickiness: Once applied, the hair doesn’t have extra shine, nor is it sticky to the touch. Water (Aqua), VP/VA Copolymer, Cetearyl Alcohol, PVP, Steareth-20, Copernicia Cerifera (Carnauba) Wax, Beeswax, Vinyl Caprolactam/VP/Dimethylaminoethyl Methacrylate Copolymer, Polyquaternium-11, Glycerin, Fragrance (Parfum), Steareth-2, Polysorbate 20, Carbomer, Threthanolamine, Tridecyl Trimellitate, Mineral Oil, PEG-180M, DMDM Hydantoin, Disodium EDTA, Iodopropynyl Butylcarbamate. Its consistency: Most users find that this glue is neither too runny or too thick, making it relatively easy to get out of the tube and work into their hair. Holds Well: They also find that this styling product holds slicked back hair into place well and in fact, you can hold your hair in almost any style you will like. In conclusion, do keep in mind that when looking for the best product for slicked back hair, every individual is different, so what works well for most people, might seem too hard or lack the hold you yourself are looking for. It may take a bit of trial and error to find the product that suits your needs and the above products are simply a starting point to help you in your quest.